Harry Albert Simmons Hill was born in Sherborne in 1865, the son of coach maker James F Hill (1838-1910) and his wife Thirza née Simmons (1843-1935). 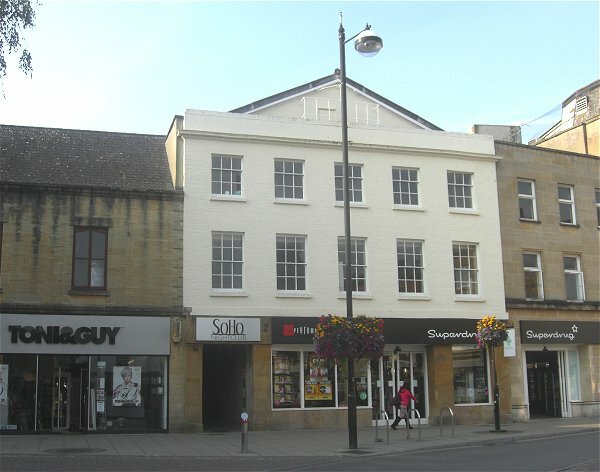 The 1871 census listed James and Thirza living in George Street, Sherborne, with their children Harry aged six, Harriet aged three and two-month-old Ellen. By 1881 the family had moved to Coldharbour, Sherborne, and young Harry was listed as an apprentice, presumably to his coach builder father. 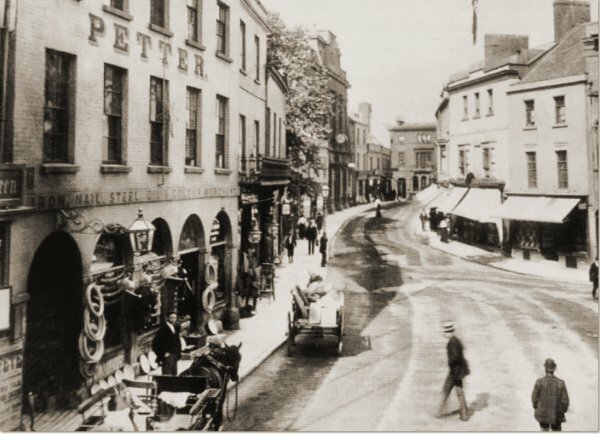 In the 1891 census 26-year old Harry had moved to Yeovil and was a boarder at 9 Kingston, next-door to the White Lion Inn. He gave his occupation as an ironmonger's assistant and was actually working for James Bazeley Petter at his ironmongery shop in the Borough. In the winter of 1898 at Sherborne Harry married Alice Kendall (1872-1920). They were to have two children; Mary Caroline (1906-1976) and James Albert (1910-1990). In the 1901 Census 36-year-old Harry and 28-year-old Alice were living at 1 Colmer Road. Again Harry gave his occupation as ironmonger's assistant. In 1901, as a financial crisis loomed, the twin sons of James Petter, Ernest and Percy, bought the business from their father following which they reorganised and renamed it as James B Petter & Sons (Ltd) with both the sons as joint managing directors. Also a director for over thirty years was John Vincent. Their father James retired from business and moved briefly to live in Bristol although he shortly returned to Yeovil to live in his house 'The Grange' in The Park but died just five years later. While Percy and Ernest reorganised the company their brothers Harry and Hugh, trading under the name of 'HB & H Petter', managed the original business including the Foundry & Engineering Works in Clarence Street and particularly the ironmongery and hot water heating side of the company in the Borough. But, as Percy recalled later "It was however for some reason not very prosperous, and Hugh left to commence business and carry on missionary work in Buenos Aires, and later Harry left with his family to take up farming in Australia." 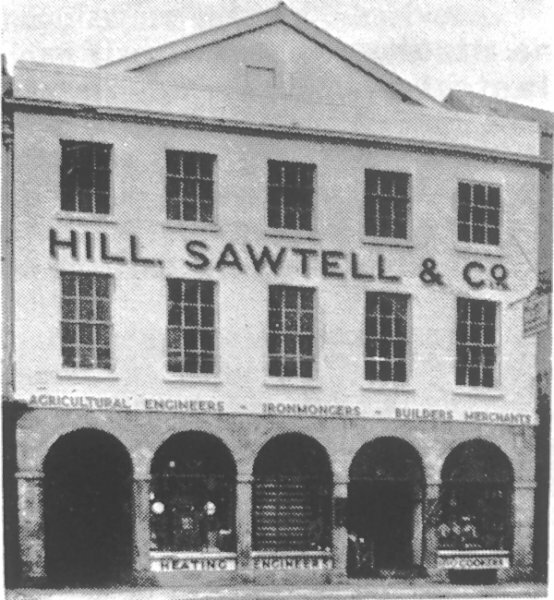 That business was then formed into a Company under the name of Hill and Sawtell Ltd, in which the Petter family held the principal interest. Harry Hill and John Sawtell had both been associated with the business for some years and Percy Petter remained a director of the company until the 1950's. The 1911 census recorded Harry Hill living above the Hill & Sawtell ironmongery shop at 18 high Street. Harry listed his occupation as ironmonger and a note on the census form indicated that his wife and two children were away for a holiday. Alice died in 1920 and Harry died in 1947. Their son, James "Jimmy" Hill took over the business. Harry Hill, enlarged from the photograph below. Employees of Yeovil Foundry, taken around 1901. On the extreme right, in bowler hat, is Hugh M Petter and next to him (also in a bowler) is Harry Hill. Amongst others who have been identified in the picture are Walter Goff (foundry foreman), fourth from left. Others are - unknown; Meech, a moulder; unknown, Larcombe, a castings fettler; Sidney Drayton, agricultural machinist; unknown, goff, moulder; unknown, Patten, a moulder; Edward Sutton, agricultural machinist; Tom Hares, millwright and machinist; Joe Fowler, in charge of foundry crucible; William Sutton, at one time a champion boxer of the Royal Navy. The report of Harry hill's funeral from the 8 August 1947 edition of the Western Gazette.